Uke 1 grabs tons left hand with both his hands while uke 2 grabs ion's right hand with both hands. 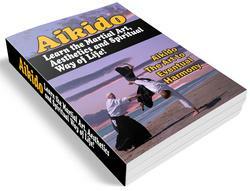 Tori grabs the right wrist of each uke, puts his left leg out diagonally, and then pivots 180 degrees to the right. 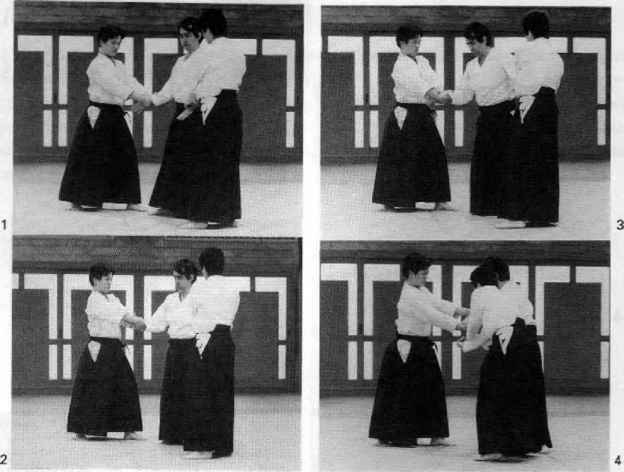 Tori crosses the arms of the uke, one over the other, and puUs both uke to the ground, then pins their arms with his right knee to complete the technique. 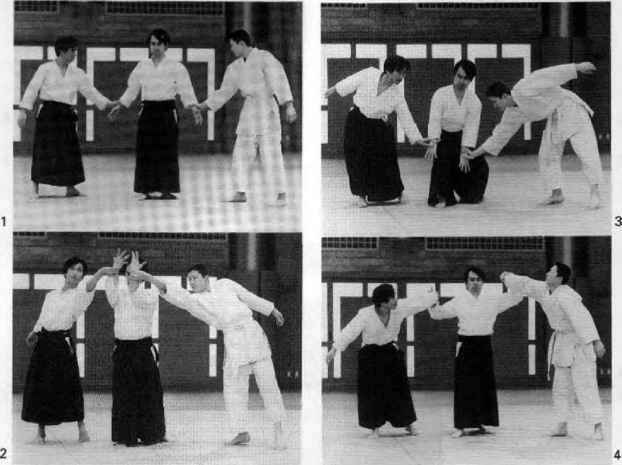 Uke 1 comes in from the left and grips tort's left hand with his right hand. Uke 2 comes in from the right and takes tori's right wrist with his left hand. 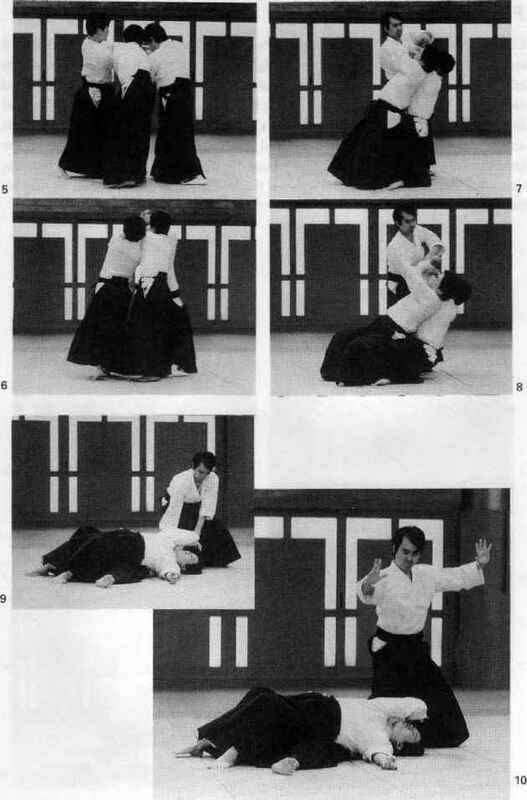 Tori raises his arms in aiki-age and then sweeps down, after which he pulls his arms up again and twists them backward clockwise to release the grips of both uke. 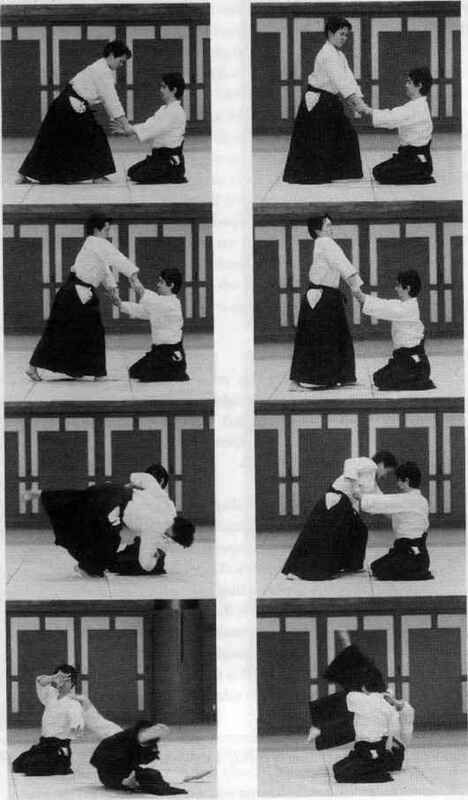 Tori catches one of the arms of uke I below his own and pins it down with his elbow, then catches the arm of uke 2 under the arm of uke I and pins it as well, bringing both uke to the ground. 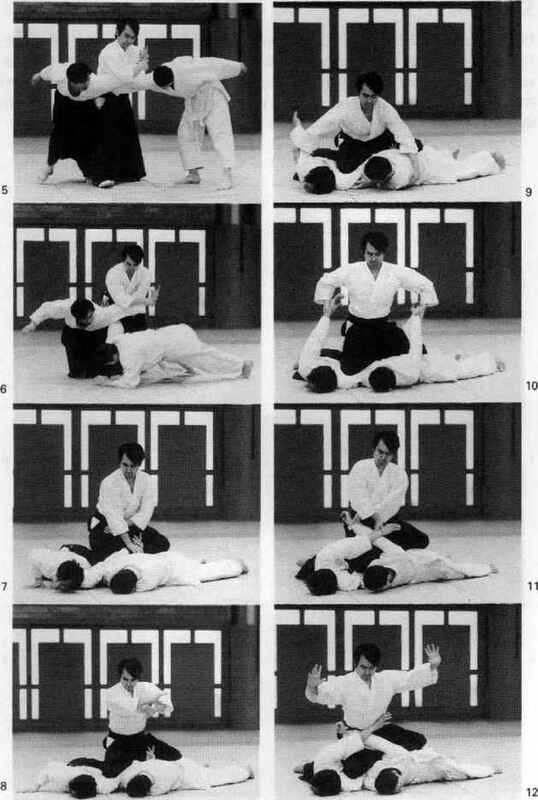 Tori then effects the pin by taking the free arm of each uke and crossing them over his own stomach and holding them in place at his hipbones, leaving his hands free.